Getting a successful Thai Massage practice in 21st century requires more than a pair of good hands. One of the key success factor in building a good Thai Massage practice is to navigate the online world of search engine optimization. You may have made a great website but if no one visits it might as well not be there and the money and effort you put in to it is a waste. As Thai Massage Therapist you may have spent many years developing your skill as a practitioner but you may find that more commercial spas with less enthusiastic practitioners with less training seem to do better than you. This is the tragedy of internet age. However you don’t have to take this lying down there is easy way to get yourself on Google up there with everybody else. If you see the screenshot below you can see under the Google ads are several Thai Massage spas listed with their locations showing on a Google Map on the right side. You will observe that all of them have a Google Plus page and then some reviews. So here is the process for listing yourself on Google. It is easy and free. Get yourself a Google Account at www.google.com. 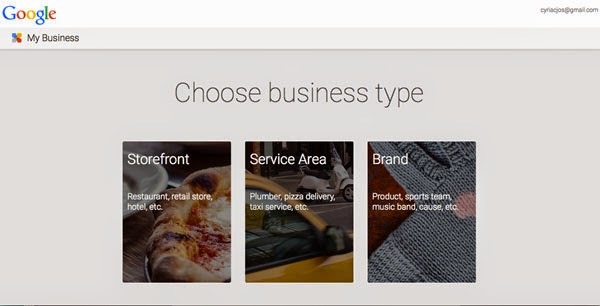 Select your type of business. It is important that you specify this correctly. Generally massage therapists need to be either a store front or a service area. If you are therapist who does home calls or would like to keep your address private then “service area” is a better option. In some parts of Asia as a female Thai Therapist it might also be better to keep your location private as a service area to prevent unseemly customers walking in. You will now see a map with a search box on the top left. Enter the name of your business. Some options with business name and address might pop up on a drop down under the box. If none of them match your business then click on add your business now. You will now be asked to enter the name and address of your business. Google. You will be asked for a category. Thankfully Thai Massage Therapist happens to be business category in Google. Check the box “ I deliver goods and service to my customers at their location” if you wish to keep your address private.. If you have chosen the option in Step 8 the Google will ask you to describe your service area. You may want to keep your service area broad but realistic. Google will ask you confirm the information. Click continue. Google will ask you to verify your address by sending a code by post to the address you have given. Click on mail me my code and wait for two week. Within two weeks you should receive a postcard with a four digit number. 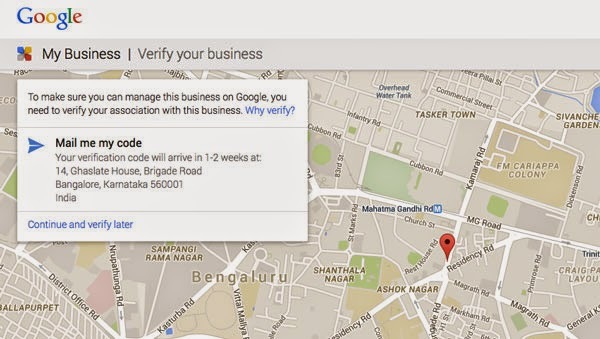 Login to your Google plus page and it will prompt you to enter the verification pin that was sent by post to you. Enter your pin in the box given. Now your business will be listed as a Thai Massage Therapist in your local area. 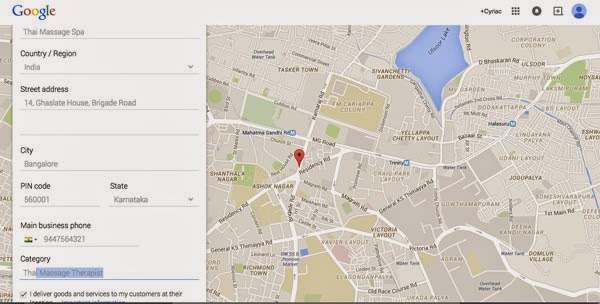 Any one searching on Google for that kind of business will find you as a red marker on Google maps or search. Once you get more than 5 reviews you should start showing pretty well on local searches and clients should start rolling in. Getting reviews however is a bit of a tricky thing because the Google systems makes it a bit complicated. I have created a one page step by step guide that can help guide your customers through the process. There is one for doing it with a mobile and one for doing it with a computer. If you would like one customized for your massage business then write in to me. Google is every small business' best friend. Marketing has become much easier with it. So, learning how to use Google is a skill well worth learning. Get the proper thai massage services from Dohamassageqatar24 who provides the Body To Body Massage In Qatar who provides proper massage therapy.